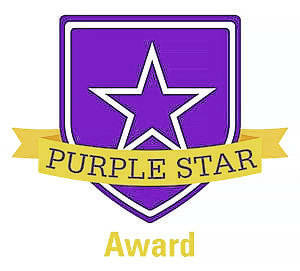 For its commitment to helping students from military families deal with the unique issues they face, Olentangy Liberty Middle School was selected as one of the first eight schools in the state to receive the Ohio Department of Education’s newly established Purple Star Award. According to the ODE release, Ohio is home to 34,000 children with one or more parents serving in the military, and by the time some of these children receive their high school diploma, they will have attended anywhere from six to nine different schools. Liberty Middle School will formally recognize acceptance of the Purple Star Award plaque during a ceremony scheduled for 2:20 p.m. on Dec. 5 at the school, said Devon Immelt, a spokesman for the district. Jason Durell, a counselor at Liberty Middle School, played an integral part in the school being recognized by the ODE, Immelt said. An Army National Guard member and veteran of the Marine Corps, Durell, according to a release from the district, utilized his unique insight into the challenges faced by students from military families to organize the Olentangy Military Family Committee. Established earlier this year, the group consists of district employees with military ties, and its goal is to “support Olentangy’s military youth by raising awareness about the resources available to them and ensuring that district staff know who they are and understand the policies and laws involving students with military parents,” the release states. Durell was moved to help military youth at Liberty Middle School after speaking with a student who felt she was different from other students because she had to deal with her mom leaving every other month to fulfill her military obligations. Durell helped connect the youth with others at the school who were dealing with similar issues, the release stated. The Olentangy Military Family Committee is working to launch a military family resource page on the district’s website at www.olentangy.k12.oh.us.